"My biggest rival is Sagan, but I am certainly not afraid of him. I have beaten him a few times and he has beaten me too. I'm just as strong. If we are together at the finish it is fifty-fifty." 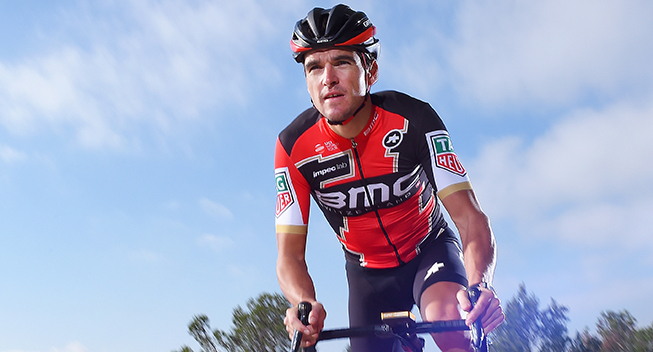 Olympic champion Greg van Avermaet is preparing the new season on the Costa Blanca in Spain. After an eventful season and a busy winter, he has had time to reflect on his rivals. Due to an ankle fracture, the winter has been different than usual. Whether that is good or bad will be determined in the spring classics. "There were many receptions and parties, and I liked to attend them. Probably because I will only be Olympic champion once in my career. But even though it seemed much, I've always loved a good balance. My training and rehabilitation always came first," he tells Sporza. "Because of my ankle fracture I lost four weeks of training. I only stopped used my crutches a few days before Christmas. I think I could have stopped a week earlier, but I didn't want to take any risks. "I've been training heavily in the last few eeks. I feel that the condition is coming fast. This season I will be forced to start later and rest more. The spring will determined how I will adress the next winter. " Even though the preparation is differemt, the competition is largely the same. "Just Fabian Cancellara is gone," said Greg Van Avermaet. "My biggest rival is Sagan, but I am certainly not afraid of him. I have beaten him a few times and he has beaten me too. I'm just as strong. If we are together at the finish it is fifty-fifty. But I am pleased to ride with him. Like me, he has an open and attacking style. "Behind Sagan, I have Kristoff, Boonen and Degenkolb as my rivals. They are fast rivals who have a classics victory in the legs. From the other Belgians, I expect something from Vanmarcke and Benoot." One difference from previous years will be that Van Avermaet will be riding against Philippe Gilbert. Does it feel like a liberation? "No, not really. For the last two or three years, we have been riding well together. "Okay, it was not always easy to be at the start with two winners and clearleaders. The only advantage will be that I can now ride the Amstel Gold Race for myself and don't have to sacrifice my chances."